Repair your instrument at TMC. Bring it in to receive a quote. 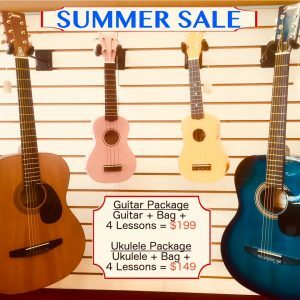 Get your guitar, ukulele, violin, viola, cello restrung here at Tustin Music Center. Restring costs $10 plus the cost of strings. Looking for a musician to perform at an event you are hosting? We have referrals of exquisite musicians that can fit the role you are searching for. Give us a call and inquire! Please call (714)730-1766 for a referral for one of our best piano tuners. Upright piano starting at $80. Baby Grand piano starting at $100. Please call (714)730-1766 for a referral for one of our best piano movers. Our way to Further Music-Making in Our Community. We receive piano donations and provide donated pianos to schools and non-profit organizations that need an extra piano. 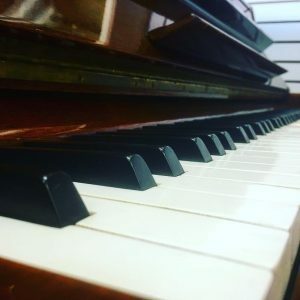 We identify and refurbish the pianos with enough potential to be reconditioned into well-playing instruments, and donate pianos and place them in schools, churches, and other non profit organizations that are in need of a good instrument. If you are interested in applying to our piano donation program, either as a donor or recipient, please contact us bysending us an email at tustinmusic@gmail.com or give us a call at (714)730-1766. Music therapy is a very powerful tool among not only psychological and mental health professionals but also among physical medicine professionals. Studies have shown that music therapy has a significant, positive influence when used to treat autistic individuals from a trained and experienced musical therapist. Musical therapy has helped and improved autistic individuals’ social skills, language comprehension, desire to communicate, self-expression, and has also reduced their echolalia non-communicative speech. More recently, music therapy has begun to be incorporated into the treatment of ADHD, eating disorders, and depression with benefits exhibited to both genders and across various age groups. In the case of children with ADHD, music therapy provides a calming effect with which can increase their focus and attention. With proper treatment, kids with ADHD can learn to successfully live with and manage their symptoms. Engaging children with ADHD in the playing of instruments will often encourage concentration with an immediate reward for the ADHD child. Our music therapists use music to meet the psychological, physical, emotional, spiritual, and social needs of patients and their families.Each session of music therapy is carefully planned, carried out, and evaluated to suit the specific needs of each patient. For further information on our music therapy, please contact us at tustinmusic@gmail.com or (714)730-1766. 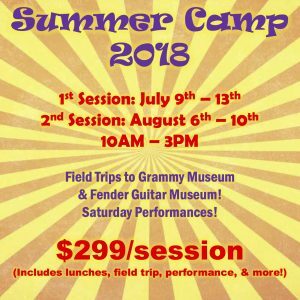 Our music scholarship program offers free lessons and free instrument rentals in various categories for various instruments. The music scholarship program offers opportunities to young talented music students whose families are having financial difficulties. Applicants must demonstrate interest, commitment, potential, and ambition toward music; as well as proof of good academic standing and proof of financial difficulty. For more information, please send us an email at tustinmusic@gmail.com or give us a call at (714)730-1766.